Research verifies the important role of exploratory play in the development of cognitive ability, creativity, and concept management (O’Rourke, et al). Nanocrafter offered in Beta, is the newest game designed experience to leverage exploratory play from the Center for Game Science at the University of Washington (CGS). 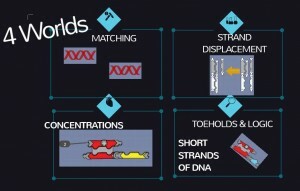 Announced at the Games for Change conference in April, 2014, Nanocrafter offers progressing levels of skill-building for solo or team players as they visualize and build nanoscale representations of synthetic protein bonds. Synthetic protein bonds do not exist naturally and must be combined by scientists through synthetic biology. Synthetic biology and DNA protein bonds can be the medical solution to real-world challenges, such as disease treatment and debilitating medical conditions. 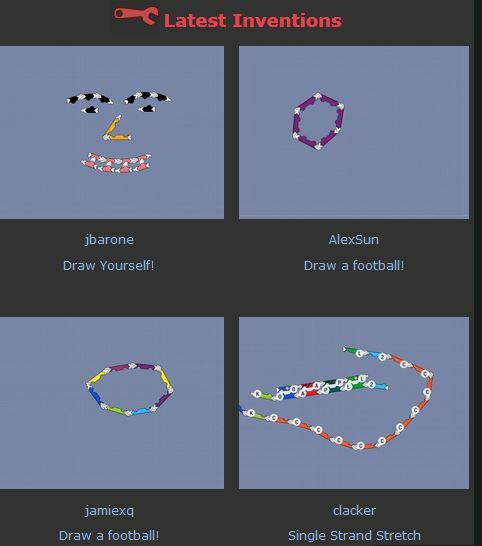 Nanocrafter leverages the cognitive precepts of Fullerton’s Playcentric Approach to Creating Innovative Games, Lave and Wenger’s situated learning, and socio-affective attributes such as peer-review and collaborative grouping. It also offers an engaging way to encourage high-school students to strengthen STEM core competencies. Nanocrafter makes learning fun. Presentation will play automatically. Mouse over the bottom of the window to control transition time. Nanocrafter follows the distribution of the game Foldit from The Center for Game Design. Foldit was originally created to facilitate innovative brainstorming among the scientific community (Chen, et al.). It’s application for classroom instruction soon became evident. Nanocrafter promotes situated learning (Lave & Wenger, 1991) through trial-and-error testing in a virtual lab. Nanocrafter lets students experience the vocational life of a synthetic biologist. Synthetic biology is “the application of engineering principles to the fundamental components of biology” ( Synthetic Biology.org ). Synthetic bonds do not exist naturally. They must be combined in a lab by scientists through the process of synthetic biology. Synthetic biology and DNA hold promise as solutions for medical treatment for diseases and better food production, among other problems (Minoff, 2014). 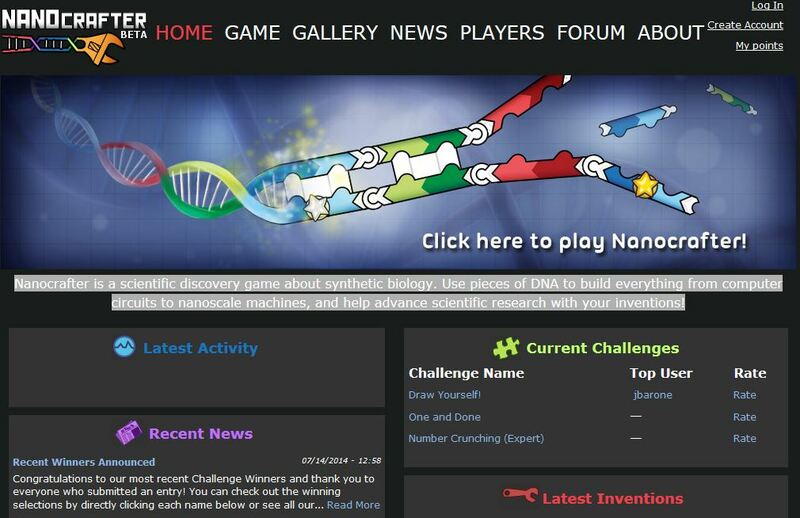 Nanocrafter addresses Fullerton’s Playcentric Approach to Creating Innovative Games (2008) because players must master challenges in four separate game worlds, game play promotes imaginative thinking in synthetic biology as players must navigate the challenge of life as a synthetic biologist, and players can connect with online peers via moderated chat forum and new challenges. Within Fullerton’s game matrix, game play requires skill and mental calculation, but not chance or physical dexterity beyond use of a mouse. 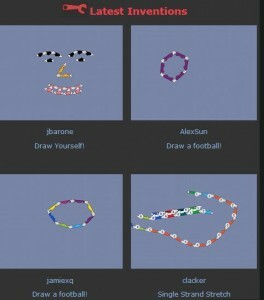 Nanocrafter educational game play consists of a single player or teams. Instructional game play can include the teacher projecting one of the Nanocrafter worlds from one computer connected to an LCD screen for whole class lessons, thereby utilizing limited computer resources common in many classroom. Technical specifications for Nanocrafter include Windows or Apple platforms, Firefox, Safari, Chrome browser. Players must create a free account. Features of play include continuous chat, leaderboards, and play centered in four online “worlds” labeled Matching, Strand Displacement, Concentrations, and Toeholds & Logic. →How can sequences of DNA help us understand problems related to species identification and public health? This review is the result of several episodes of game play from April – July, 2014. In this reviewer opinion, Nanocrafter communicates uses a playful, gameful conversational style devoid of gender bias or overly technical language. The infrastructure is robust and timely with continuous updates posted and and updates announced on the game board and via email update. Cartoon gimicks are limited, instructional tutorials are concise and devoid of jargon. Semiotic vocabulary is explained and then applied to module-based game play. Nanocrafter’s affordances for solo or team play offer many options for teachers: inclusion into a one-computer classroom, computer-on-wheels (COW) utilization, computer lab experience, or home-play. High-school students can begin play at school and continue at home in a variation of a flipped classroom. Nanocrafter can also anchor a high-school learning center allowing students to rotate to the website and retrieve their account credentials, points, and forum chats. Digital video resources would enhance the learning potential of Nanocrafter. Among the best and most easily included into existing curriculum are those found at the Synthetic Bonding website. Of special benefit is the “Latest Inventions” section where challenge winners’ work is displayed. Nanocrafter is an example of game-based learning rather than gamification. One of my cadre-mates, Sandra said “it is only through direct experience with different varieties of games that you can begin to understand the potential impact of a gaming system on educational environments.” Nanocrafter is a different kind of game, one that applies new knowledge of synthetic biology concepts. Nanocrafter is not a multi-player game or a game of chance or luck. It is not a drill-and-practice game or a gamified quiz. 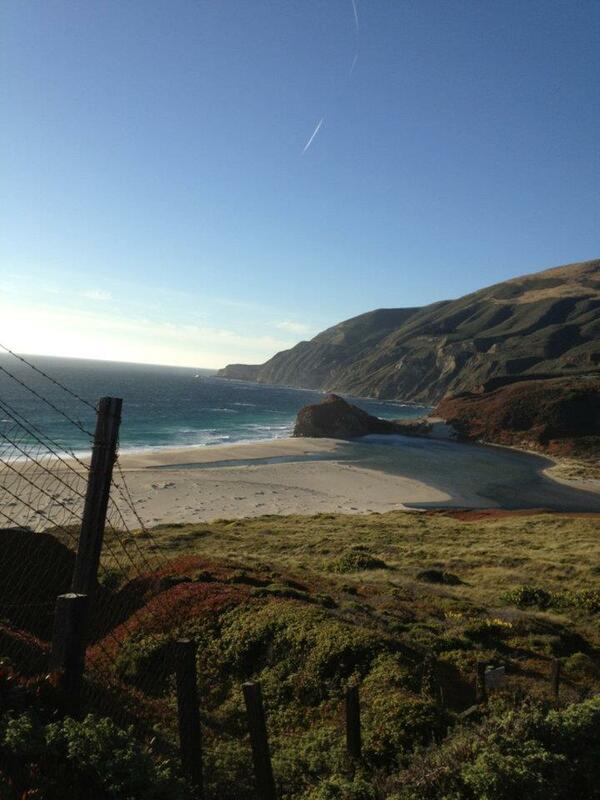 It does not apply game theory to a non-recreational environment. Nanocrafter leverages the interactivity of social media components such as a leaderboard, chat, and challenges with prizes to enhance the embedded academics of synthetic biology. Nanocrafter successfully integrates scientific principles and encourages students toward concept mastery and for real-world problems using game-ful components. Chen, M., Kolko, B.E., Cuddihy, E., & Medina, E. (2011). Modeling but NOT Measuring Engagement in Computer Games. In Proceedings of the 7th International Conference on Games + Learning + Society (p. 55-63). Chen, Mark, Horstman, Theresa, and Bell, Philip. (In review). Playing science with Foldit. Finnish Innovation Fund (2014). Helsinki Design Lab. Retrieved from: www.helsinkidesignlab.org. Fullerton, T. (2008). Chapter 9: Playtesting. Game design workshop: A playcentric approach (pp. 248-276). Gee, J.P. (2006). What Video Games Have to Teach Us About Learning and Literacy. Game Design Reader. Massachusetts Institute of Technology. Lave, J., & Wenger, E. (1991). Situated learning: Legitimate peripheral participation. Cambridge England: Cambridge University Press. O’Rourke, R., Butler, E., Liu, Y., Ballweber, C. and Popovic Z. (2013). The Effects of Age on Player Behavior in Educational Games. Foundations of Digital Games. Center for Game Science Department of Computer Science & Engineering, University of Washington. Retrieved from http://homes.cs.washington.edu/~eorourke/papers/age_behavior_fdg.pdf. The Center for Game Science at the University of Washington. Retrieved from http://centerforgamescience.org/.